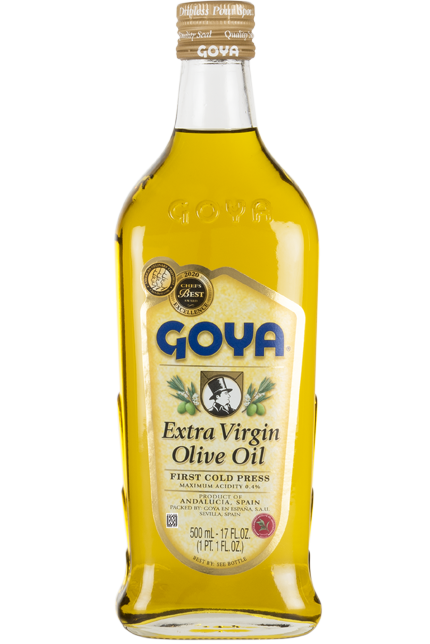 GOYA® Olive Oil is made with refined olive oil of excellent quality and our GOYA® Extra Virgin Olive Oil in the necessary proportions to achieve the Mediterranean touch which is unique to our cuisine. 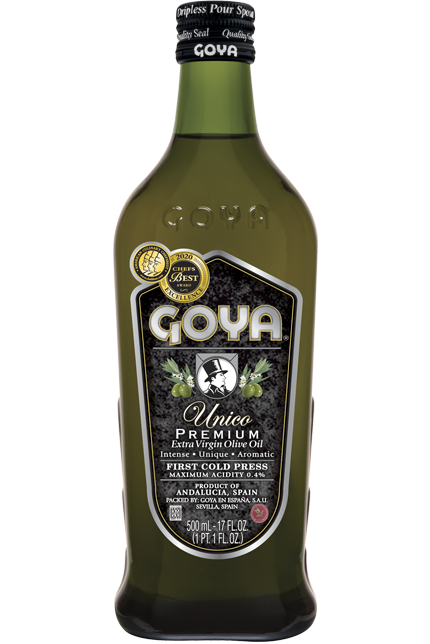 GOYA® Olive Oil is ideal for preparing all types of stews, roasts and sautés in order to season them with flavorful Mediterranean notes and fresh, fruity aromas. Unlike our Extra Virgin Olive Oil, which is recommended for using raw in both cold and hot dishes, GOYA® Olive Oil stands out due to its versatility, as it is especially recommended for all cooking uses; whereas our Light Flavor Olive Oil is ideal for frying, baking and gastronomic cultures and consumers which, without having a special affinity for the flavor of olives, want to benefit from the healthy qualities of olive oil. 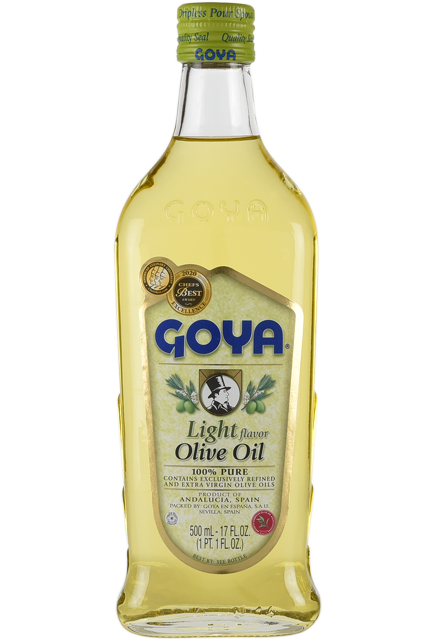 In the elaboration of this oil, recommended for all uses and consumers, Goya Spain uses two ingredients: high-quality, refined olive oil, and our GOYA®Extra Virgin Olive Oil, which lends GOYA® Olive Oil the taste and aroma which the prestigious institution American Culinary Chefs Best® highlights when comparing it to other market leaders. 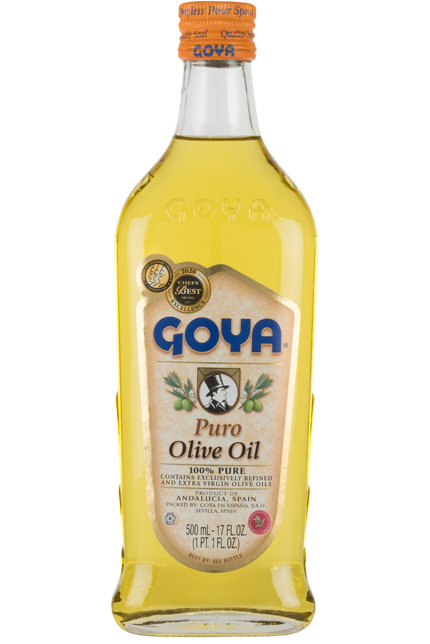 It is precisely the smooth flavor and intense fragrance which make GOYA® Olive Oil the most suitable for use in cooking, because when heated, it transfers all of its olfactory attributes to the remaining ingredients. 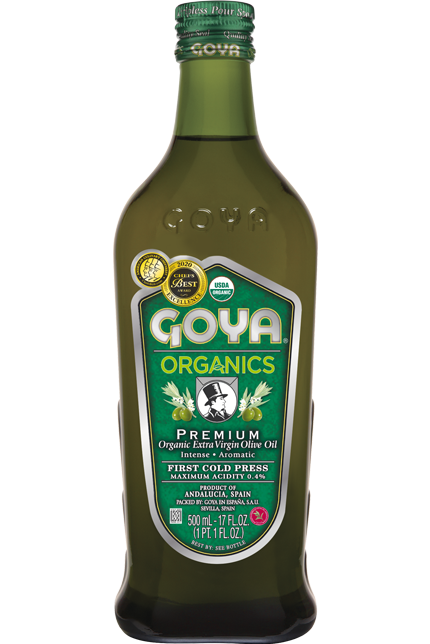 Preserved in nitrogen until it reaches your table, GOYA® Olive Oil maintains all of its properties until its best-before date. 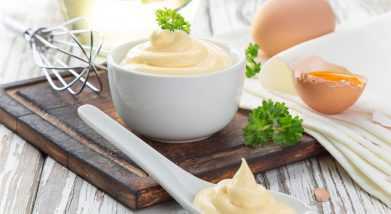 Homemade Mayonnaise Recipe!Elaboration: This creamy and smooth cold sauce is prepared by beating an egg, olive oil and a little vinegar, salt and pepper.It is used as salad dressing, or combined with seafood, poultry, eggs or vegetables to make cold entrees or main dishes. For those who love more intense flavors, just by adding chopped garlic we can transform the mayonnaise into a tasty aoli sauce to accompany steamed fish and vegetables. 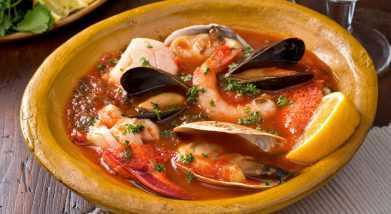 Shellfish Stew Recipe!Elaboration:Sauté fennel, leeks and garlic in Goya® Olive Oil. Then, add tomatoes, some saffron strands and seafood stock, and set aside.